GRAND RAPIDS, Mich. April 11, 2019 —West Michigan hotel developer and operator Suburban Inns officially opened Embassy Suites by Hilton today in the North Monroe District of downtown Grand Rapids at 710 Monroe. 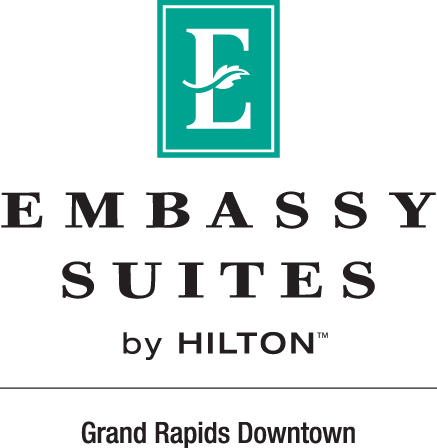 The new hotel is the first Embassy Suites brand hotel in West Michigan, and the first upscale all-suites hotel option in downtown Grand Rapids. The seven-story hotel features 250 two-room suites with a view of the Grand River or the city, many with a balcony. Amenities also include the Big E’s Sports Grill, a Michigan-shaped indoor pool, and an indoor/outdoor spa and Whitewater Lounge on the second level, with a Whitewater Café serving Rowster’s Coffee on the main floor. The hotel also has a five meeting and event rooms named after historic Grand Rapids furniture companies. Embassy Suites is famous for its cook-to-order breakfast and a manager’s reception daily. The brand has a loyal following of customers who seek high value but also upscale suite style accommodations. Suburban Inns began construction on the property in 2017. The opening of this hotel gives the local company a portfolio of seven hotels in Michigan across three brands—IHG, Marriot, and Hilton. The company also operates 5 restaurants, including four Big E’s and one Sharkee’s. Founded in 1979, Suburban Inns develops, owns and operates award-winning hotels and restaurants in Holland, Grand Rapids, and Midland. Its hotels consistently rank in the top tier of restaurants in Holland, Grand Rapids, and Midland. Its hotels consistently rank in the top tier of their franchises for customer service and quality, winning some of the top awards in NorthAmerica. For more information, visit www.suburbaninns.com. Mining the Midwest: Hotel openings in the Heartland. Hotel Management. Author: Chuck Dobrosielsk. April 5, 2019. 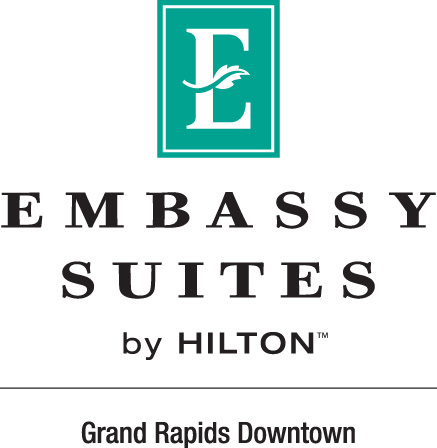 Embassy Suites by Hilton Opens in Grand Rapids. Hospitality Net. April 8, 2019. A Look at Hotels Opening in the Heartland. Hotel Business. April 8, 2019. Embassy Suites Opens in Downtown Grand Rapids. WXMI Fox 17 News. April 11, 2019. 250-Room Hotel, Sports Bar Open in Downtown Grand Rapids. MLive/Grand Rapids. April 11, 2019. Embassy Suites on Downtown GR Riverfront Now Open. WOOD TV 8. April 11, 2019. New Hotel and Restaurant Opens in Grand Rapids. WZZM TV 13. April 11, 2019.